Probably the greatest potatoes of all time (along with these! ), super easy to make, and super simple to roast for a crowd. 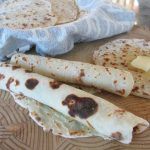 Borrowed from BBC Good Food, I’ve already made these a few times – enjoy! Put the potatoes into a large pot of salted water (enough water to just cover the tops), bring them to a boil and boil vigorously for 2 minutes. Drain well and set aside until you’re ready to roast – this is an easy step to do early in the day. Preheat the oven to 400 and choose a large glass or ceramic baking dish (I find a proper pan easier than a baking sheet when working with hot fat!). Drop in the duck fat and heat the pan in the oven for a few minutes until the fat is melted and very hot. 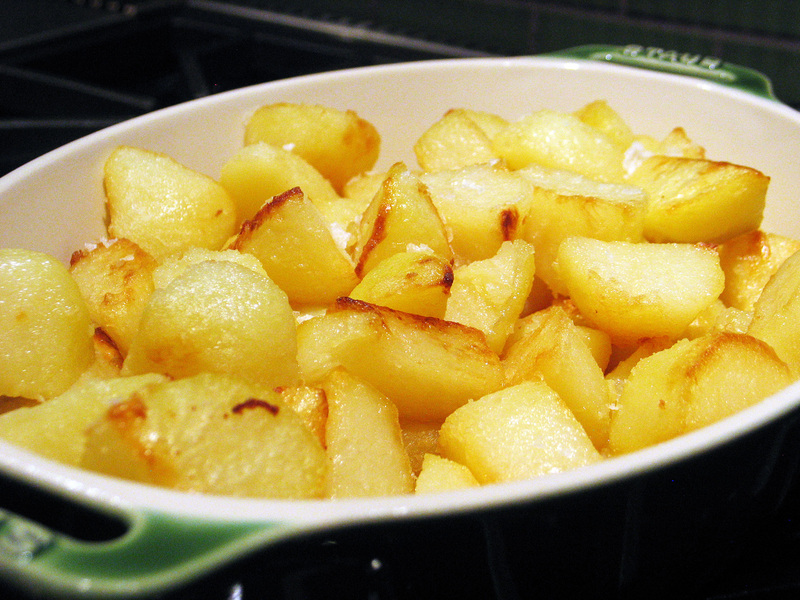 As the pan and fat are heating, toss the potatoes with the tablespoon of flour. Take the hot pan out of the oven, carefully pour in the flour-tossed potatoes, give them a good stir so that they are well coated and then roast for 15 minutes. Remove the pan from the oven, give the potatoes another careful stir and then roast for another 15 minutes…then repeat for a final 15 minutes. The potatoes will likely need a total of 45-50 minutes of roasting to get perfectly crisp on the outside and perfectly soft and fluffy on the inside. Mine turned out like french fries from heaven, but they actually didn’t get very dark. Sprinkle generously with Maldon salt and serve straight away.